It’s funny, but not funny when you think about how vaping has become the mainstream media’s whipping boy. If something happens and there’s a vaporizer anywhere near it, it was vaping. Someone with no idea what they’re doing sticks some highly explosive lithium batteries in an unregulated box mod and it blows up, yep, vaping is dangerous. Someone gets sick, and they also happen to vape, vaping. 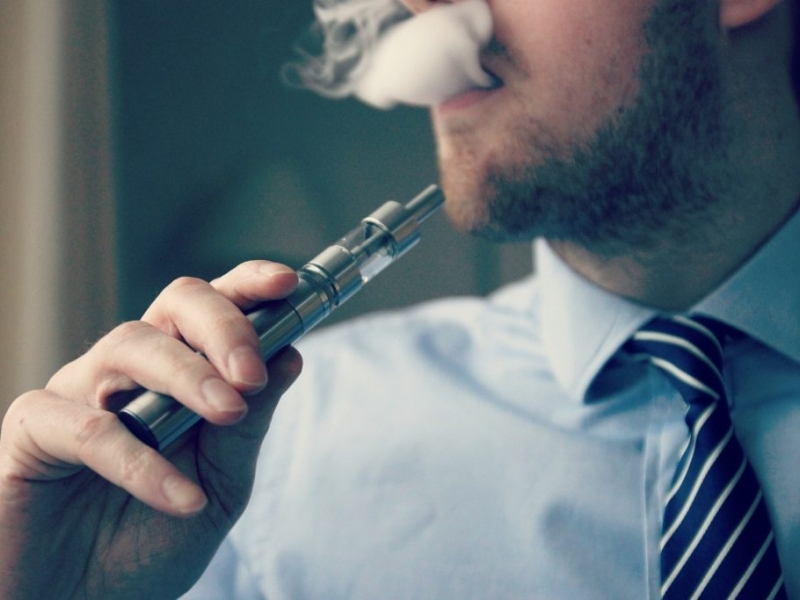 Someone develops some rare disease, but they once puffed on an e-cigarette, vaping did it. Recently, a 16-year old suffered a massive allergic reaction or hypersensitivity pneumonitis. The fact they had recently started vaping seems to be the cause, if you listen to mainstream media. What hasn’t been said a lot is what else could it have been and what is wet lung? There are hundreds of stories kicking around the internet about how dangerous vaping is and how it can give you wet lung, but where are all the other cases? Millions of people are vaping around the world, but where are all the other people in hospital with wet lung? There aren’t any! And you can believe that if there were, the media would be parading them all out for you. Let’s look at this infamous ‘wet lung’ and what it means to vapors. The first thing we’re going to clear up is that wet lung isn’t the name of the condition. The real name is hypersensitivity pneumonitis. There is no way that you’re going to see your local news reporter reeling that mouthful out in a thirty-second news bite on the television. Hypersensitivity pneumonitis is a very dangerous allergic reaction to certain chemicals. Like anything in this world, we all live in, some people are allergic to certain things and should avoid them. Unfortunately, for many people that are allergic to anything the only way they ever find out is by consuming or touching whatever they’re allergic too. A lot of people are allergic to propylene glycol (PG) and can only vape e-juices which contain 100% VG mixes. It’s not an uncommon allergy, but usually, the allergic reaction is not this serious. It could have been a PG allergic reaction, but PG is in a lot of products which we use every day, foods, medicine, beauty products, and there is a high chance that the person would already know that they had a PG allergy. The biggest problem facing vapers isn’t wet lung or popcorn lung, it’s mainstream media and misinformation. Every time you hear a negative story about vaping, it’s another nail in the coffin for a product which is very effectively helping thousands of people quite a deadly product. Sure, vaping hasn’t been around much more than a decade, so there aren’t a lot of long-term studies into its effects. If you want to be 100% healthy, then don’t vape, but if you want to switch from cigarettes which are 100% responsible for giving people cancer, then maybe vaping and e-cigarettes are worth another look.